OMAHA, August 20, 2015 — Company dancer Claire Goodwillie has been dancing on Omaha’s biggest stages since age six. 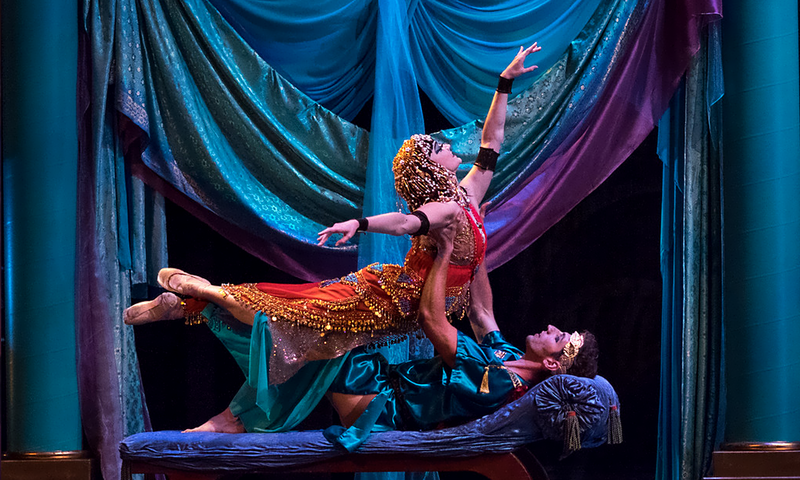 This fall, she takes on the title role in American Midwest Ballet’s production of Cleopatra at the Orpheum Theater. We chatted with Claire recently about all things ballet — from training and typical work days to her inspirations and aspirations. When did you decide that you wanted to become a professional ballet dancer? I never imagined doing anything else, and I never really wanted to do anything else. I can’t recall an exact moment when I knew I wanted to be a dancer. I’ve always loved rehearsing and performing, and it seemed like the logical career for me to pursue. Tell us a little bit about your career path and training. How did you get here? I’ve been fortunate to have had the training and performance opportunities I’ve gotten right here in Omaha, my hometown. I trained from age six at Omaha Theater Ballet School of Dance which was attached to a professional ballet company. The opportunities to dance as a student in professional ballet productions exposed me to how hard professional dancers really work, and the amount of effort that goes into putting on a professional show. I realize now just how invaluable those experiences were. I joined American Midwest Ballet for its very first season when I was 19. Being involved with the company at its founding is very special to me. I witnessed firsthand how American Midwest Ballet has developed throughout the years and performed some very fun roles along the way. I’m very excited for what the future has in store for both me and American Midwest Ballet! How did you learn you would play the lead role in Cleopatra? I learned I would play Cleopatra in a very informal way. During the first week of the season I was the only woman called to rehearsals for the role of Cleopatra, so it ended up becoming pretty self-explanatory. Last spring, I was costumed as Cleopatra while shooting promotional photos for Season Six, so it seemed like a strong possibility that I would get the chance to play the role. However, I certainly wasn’t counting on it. When I officially learned my casting, I was excited and nervous — and I still am! This is the biggest role I’ve ever danced, so it’s a challenge I am looking forward to tackling. What is special to you about dancing this role? I’ve danced characters that are evil, or flirty, or mysterious, but never one who displayed more than a single characteristic or emotion at the same time. Cleopatra displays many powerful emotions, including love, anger, betrayal, total devastation, and hopelessness, just to name a few. I am excited to dance a character as complicated as Cleopatra. The pas de deux work [with Sasha York as Mark Antony] is also something I look forward to doing in this show. During the entire production, I will either be onstage performing or backstage frantically changing my costume! I am going to do my best to not be intimidated by any aspect of the part and handle this role the same way as I would any other role. Essentially, my plan is just to show up to rehearsal with as much energy and focus as I can. Do you have any special performance day routines you stick to in order to mentally prepare before a show? Performance days are very long for us, so it is a challenge to make sure my energy is at its peak at showtime. The most important aspect of my performance day routine actually takes place the night before, and that is sleeping! I always make sure to get as much sleep as possible the night before a show. I also bring my massage roller and heating pad to the theater so I can give myself some physical therapy throughout the day. Mental preparation before a show is just as important as physical preparation, so I like to be by myself for a few minutes to calm my nerves and focus before I go onstage. What is a typical work day for you during the season? During the season, a typical day begins with an hour and half ballet class in the morning, followed by 4 to 7 hours of rehearsals. Most days after rehearsals, I teach dance classes for another 2 to 4 hours. I am also in school part time at University of Nebraska at Omaha, so I often have homework to do after my work day is complete. I also try to squeeze in a Pilates workout before collapsing into bed at night. Who were some of your biggest influences and inspirations? In terms of dance, I am influenced and inspired by my fellow company dancers. One of the best things about American Midwest Ballet is that each dancer is unique and has different strengths. I draw inspiration from their strengths. I definitely did this as a student, and it has not changed throughout my professional career. 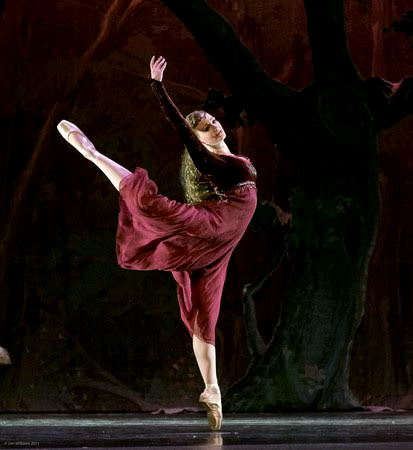 While I love all styles of dance, my favorite would have to be contemporary ballet. Classical ballets are very beautiful, but I personally enjoy contemporary ballet because of the athleticism and more free style of movement. Are there any other facets of dance you would like to explore in the future? I currently teach quite a bit when I’m not rehearsing, and while I enjoy it as a part time job, I don’t know that I would ever want to do it full time. As far as choreography goes, I would be interested in exploring that more one day! I actually have an idea for a ballet in my head right now about the Greek myth of Orpheus and Eurydice. Hopefully I have the opportunity to bring that to life at some point. What motivates you to work as hard as you do? I am motivated because I know how fortunate I am to have a professional career as a ballet dancer. I also know that since I won’t be able to dance professionally forever, I need to make the most of the time that I have now. Even though I get very tired sometimes, I love what I do — and when you really love what you do, it isn’t very difficult to be motivated and work hard. 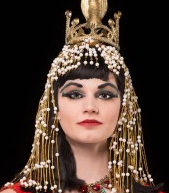 See Cleopatra at the Orpheum Theater in Omaha on Oct. 2, with Claire Goodwillie as Cleopatra, Sasha York as Mark Antony, and Matthew Carter as the Asp. The company’s professional dancers are joined by 37 students and adults in community roles.